E-sign capabilities are free with a subscription, allowing users to electronically sign and send any document from any device. Adobe already offers tailored cloud products for creative and marketing professionals, and on Tuesday it launched a like-minded initiative focused squarely on documents. 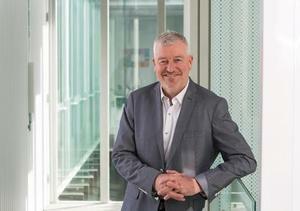 Essentially a set of integrated services that use a consistent online profile and a personal document hub, Adobe Document Cloud is designed to address the waste and inefficiency associated with many of today's document-based processes, the company said. At the heart of the new product is Acrobat DC, a major update to Adobe's longstanding family of PDF tools that features a new tool center and a new, touch-enabled interface. Users of Acrobat DC can easily convert any paper document into an editable digital one, Adobe said. They can also edit, export and reuse any PDF content across devices. Microsoft Office and SharePoint integration is included. 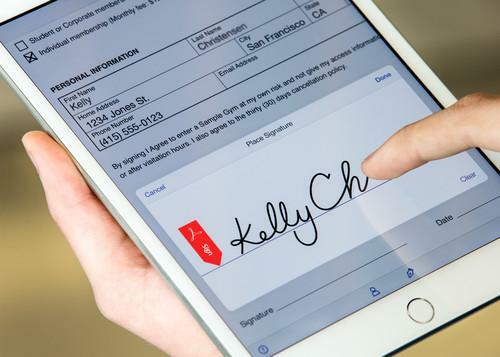 E-sign capabilities, meanwhile, are fully integrated into Document Cloud and included with every Acrobat DC subscription, allowing users to electronically sign and send any document from any device. Also new from Adobe are two new mobile apps dubbed Acrobat Mobile and Fill and Sign, giving users the ability to create, edit, comment on and sign documents directly on their mobile phones and tablets. 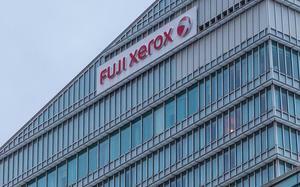 The cameras built into those devices, in fact, can be used as portable scanners to convert any paper document into a digital, editable file that can be sent for signature. Finally, new document management and control services help users manage, track and control their documents. Intelligent tracking, for instance, offers insight as to where critical documents are in the process, including who has opened them and when. Control features help protect sensitive information both inside and outside the firewall. Adobe Creative Cloud customers will have access to Document Cloud through Acrobat DC, which will be included with a membership to Creative Cloud. An enterprise version of Document Cloud will include introductory offerings for workforce productivity, sales acceleration, HR efficiency and procurement contracting. Also available will be the ability to centrally manage Document Cloud and Creative Cloud user accounts and licenses with single sign-on (SSO) in the Adobe Enterprise Dashboard. Adobe Document Cloud and Acrobat DC are expected to be available within 30 days. Subscription pricing begins at US$12.99 per month; enterprise and perpetual pricing have not yet been announced.